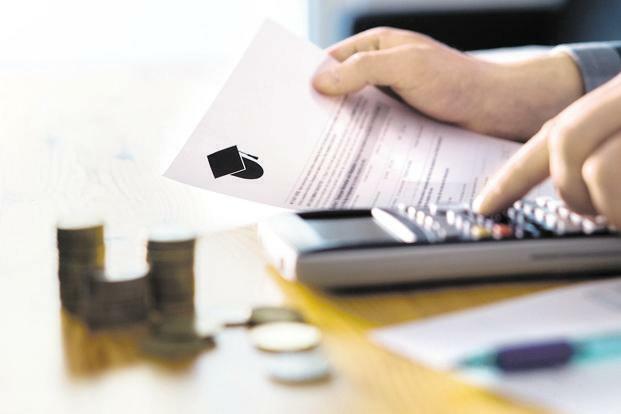 Who can claim tax benefit on interest paid on education loan? Education costs are spiralling. The fee for a masters or diploma in management from premier institutes can be about ₹ 25 lakh, while many private medical institutes charge about ₹ 50 lakh for an MBBS degree. Apart from the course fee, there are other expenses. Taking an education loan helps fund the course. The advantage is that if the parent doesn’t have money, the loan can be repaid after the child completes the course and gets a job. Also, the interest payment can be claimed as tax deduction. Who can take an education loan? Any individual can take an education loan to finance higher education for self, spouse or children. It is available for courses, recognised by the government or local authority in India or abroad, for which you can apply after completing your senior secondary education. The loan needs to be taken from a financial institution (bank or non-banking financial company) or an approved charitable institution (under Section 10(23C) or 80G (2) (a) of the Income Tax Act, 1961). Money borrowed from relatives, friends or employers does not fall under the category of education loan. Who can claim tax deduction? Only interest paid on an education loan qualifies for deduction under Section 80E of the Income tax Act. While the entire interest amount can be claimed as deduction, principal repayment does not qualify for any benefit. This benefit can only be claimed for eight consecutive years from the year in which borrower starts repaying. You will need to get a loan repayment certificate from the lender every year to claim. “Deduction is allowed to the individual who has taken the loan and if repayment is made through income chargeable to tax,” said Taranpreet Singh, partner at TASS Advisors, a chartered accountancy firm. So if the parent takes an education loan for her daughter and the parent repays it, tax deduction can be claimed by the parent. However, if after completing the education, the daughter gets a job and starts paying the EMI from her source of income, neither daughter nor parent can claim deduction. “The parent shall not be allowed to claim deduction as the repayment is not done through his income chargeable to tax. Similarly, the deduction shall be denied to the daughter as the loan is not in her name,” said Singh. In many cases, the EMI is shared by the parents and children. In such cases, “the parent can claim a deduction to the limited extent of interest paid by him (or EMI shared by him). The interest paid by the daughter shall not be allowed as a deduction to either of them,” added Singh. If parents want to claim tax benefit, they must ensure the EMIs go from their accounts.